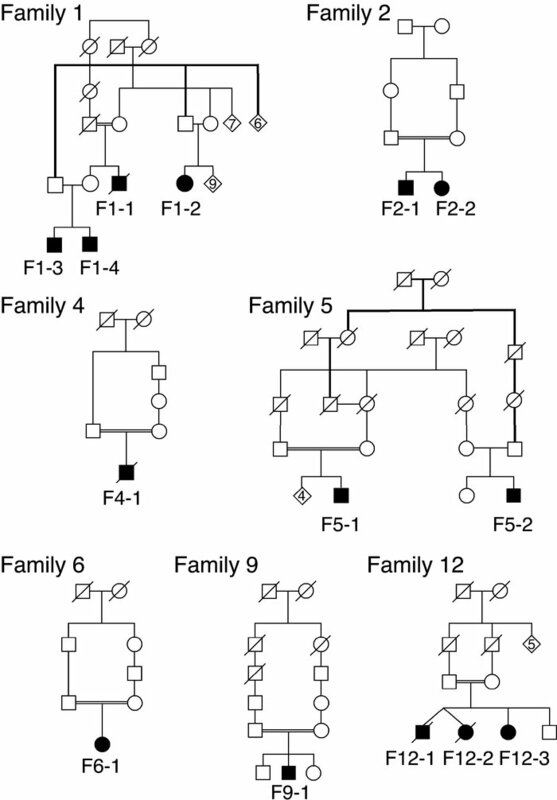 The pedigrees of the families with known consanguinity or more than one affected family member are shown. Males and females are indicated with squares and circles respectively. A line is drawn through the symbol for an individual who is no longer living.